This simple tutorial is going to show you how to install the vokoscreen via PPA in Ubuntu 13.10, Ubuntu 13.04, Ubuntu 12.10, Ubuntu 12.04, Ubuntu 14.04. As you may know, vokoscreen is an easy to use screencast creator to record educational videos, live recordings of browser, installation, videoconferences, etc. 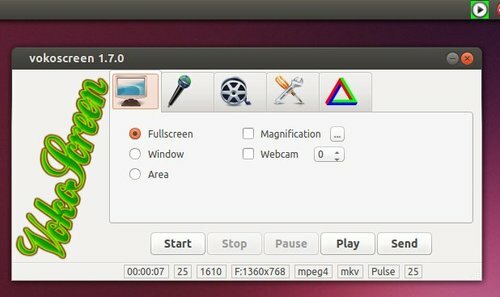 No user responded in " How to Install Vokoscreen Screen Recorder via PPA in Ubuntu Linux "